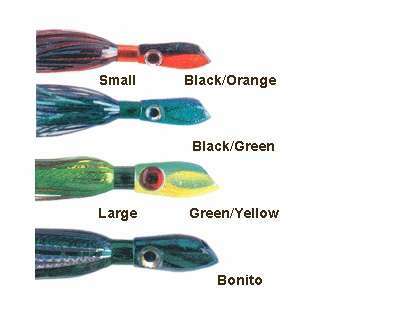 Braid Bomb 2 Lures - The Bomb! A magnet for wahoo, tuna, kingfish and dolphin. Outstanding as is or with a strip or ballyhoo. Trolls 6 to 12 knots. sturdy material. And sharp hook. This lure runs well at 8oz--the slant face and slightly off-center rigging hole gives this lure a keeled effect that allows this lure to dig in and run without spin. Medium sized at approx. 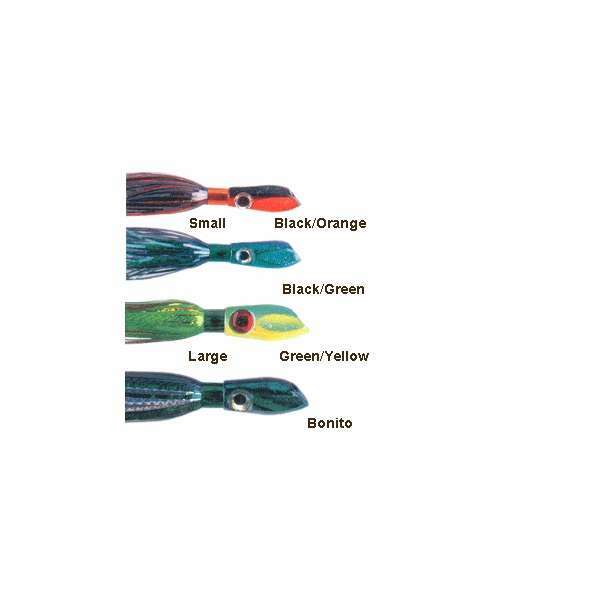 8", you can use this alone or with a natural bait/ plastic tail trailer. Seems like it would be durable, time will tell. Good design--can't wait til the mahi move in, this little deal will hammer 'em. ConsNeed more colors, a heavier weight wouldn't be a bad thing. The Braid Bomb 2 Lures are not pre rigged.